First Pass welcomes drivers of all ages and abilities. We deliver courses in a progressive and structured way, tailored to suit your individual requirements, teaching you not just to pass the test but to drive in order to cope with today's ever changing environments. At First Pass we can also give you help with the theory and hazard perception elements of the test and/or tailor intensive courses to fit in with your needs and lifestyle. We have excellent pass rates and testimonials! 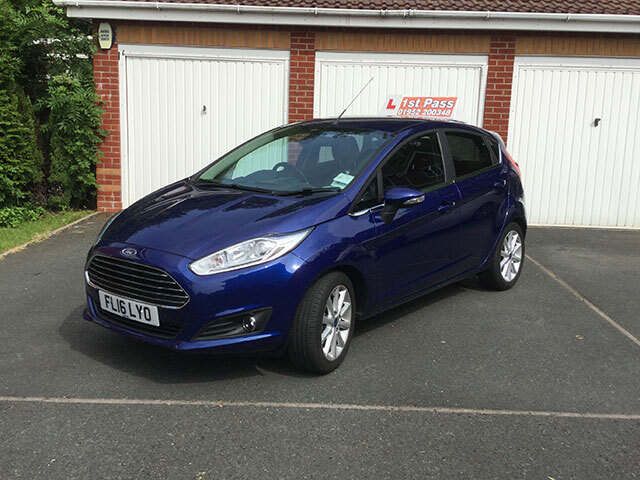 Paul Goring is a fully qualified driving instructor with 17 years experience in the driver training industry, having over 35 years on road experience in total. Paul is an A-graded instructor scoring the maximum 51/51 in the DVSA (Driving and Vehicle Standards Agency) instructor standards check test and a member of the Institute of Advanced Motorists (IAM) also achieving the maximum FIRST grading in their advanced driving test. Paul is also fleet trained, working with Telford training consultants (TTC) and Staffordshire County Council delivering the National Driver Rehabilitation schemes e.g. Speed awareness on behalf of the West Mercia, West Midlands and Staffordshire Constabularies. He also does various on road training work for various providers e.g. Royal Mail. Learn to drive in a new Ford Fiesta Titanium. Fitted with dual controls power steering and air conditioning. A very easy and comfortable car to learn to drive in.